Coffee lovers? 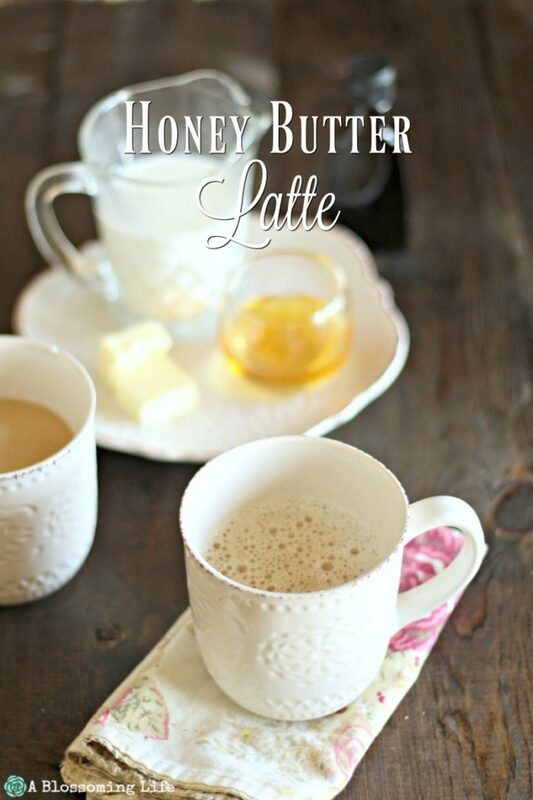 Let me quickly explain why you’re going to love this honey butter latte. Lattes are my favorites. I love coffee with cream, but espresso and steamed milk just kick it up a notch. Did you know latte is the shortened form of the Italian word caffelatte, which means “milk coffee”? Literally everything about “milk coffee” is appealing to me. Milk is delicious, and coffee is widely loved. It’s not always true, but it’s always worth trying. We don’t own an espresso machine, but we always make our coffee as dark as possible (and as dark as enjoyable). If I’m feeling motivated, I haul out the coffee grinder to finely grind our dark roast (which we buy ground, already). Usually, though, I just overwhelm my coffee filter with dark roast and let it do it’s thing. An even better choice is going with the French press (Like this one) . Whichever of these methods I choose, I just make it dark. It’s not so much the caffeine I’m looking for as it is the depth of flavor, and when I’m combining milk with my coffee, a weak brew just doesn’t work. You’ll end up drinking sweetened, hot milk with a hint of coffee, which isn’t the goal. If you own a frother, use it. If not, like me, get creative. Use an immersion blender (Amy has this one) or a hand mixer (I have this one) with a single whisk. I used the latter of these, and it worked great. I used the microwave for time purposes, but the stove top works great, too, and really, it doesn’t take too much longer. People like this drink. It’s really good. The combination of whole milk (or half & half), honey, and butter creates a blend that is rich, creamy, sweet, and completely smooth. The touch of salt in the butter counters the honey, and vanilla provides another layer of flavor. Obviously, this is a feel-good, taste-good drink. It’s not a skinny version, and it won’t help you get skinny, but it’s absolutely delicious. 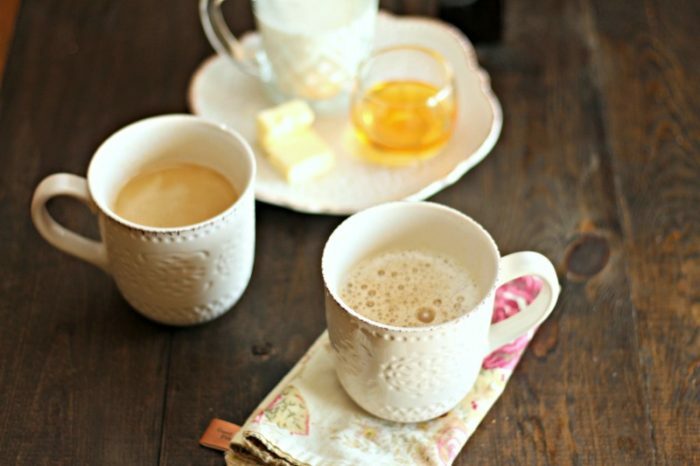 A rich, smooth, frothy latte sweetened with honey. 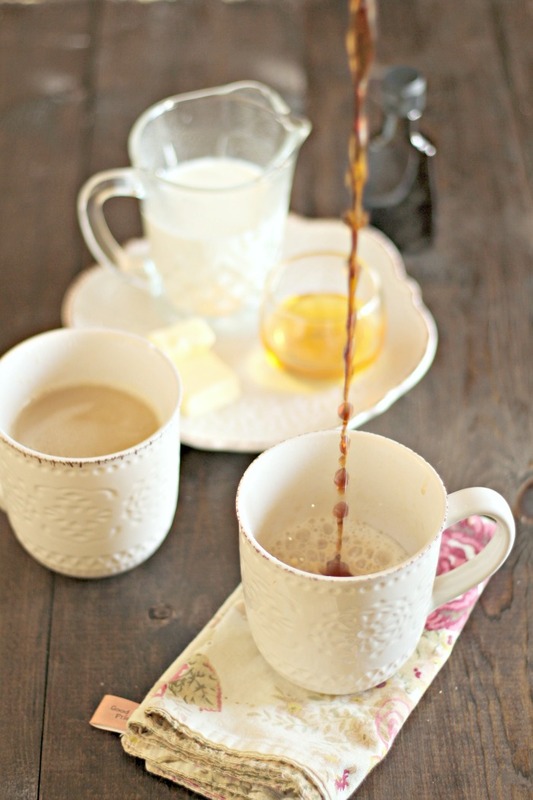 Add whole milk, honey, vanilla, and fresh, cold butter to your coffee mug. Heat in the microwave until the butter melts, but be careful to avoid boiling. Using a hand mixer (with one whisk) or immersion blender, whip these ingredients until they become frothy and the butter is visibly incorporated. 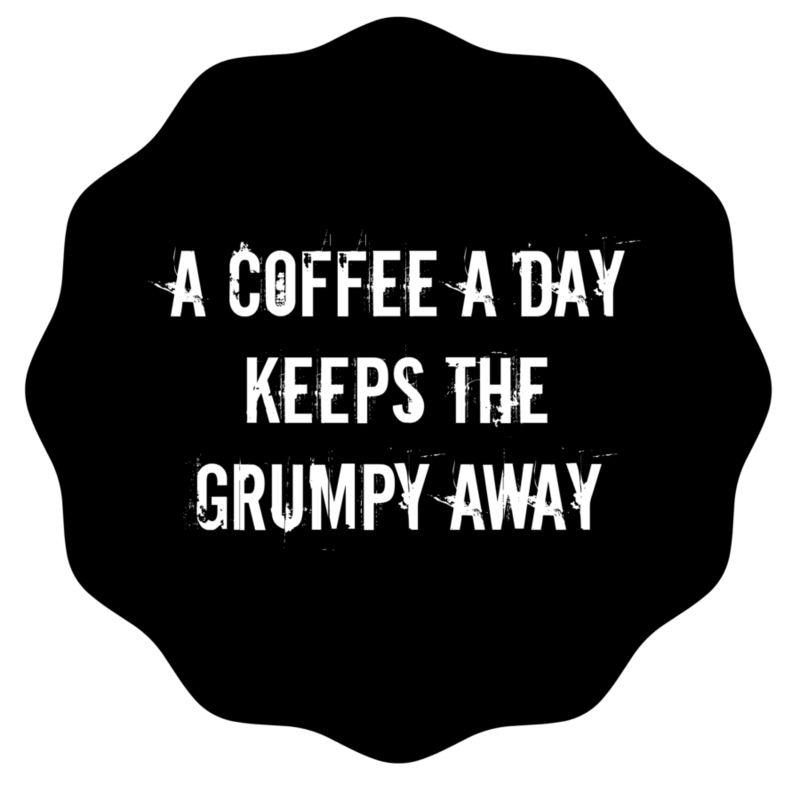 Poor hot, fresh coffee into your mug, to the strength you prefer. 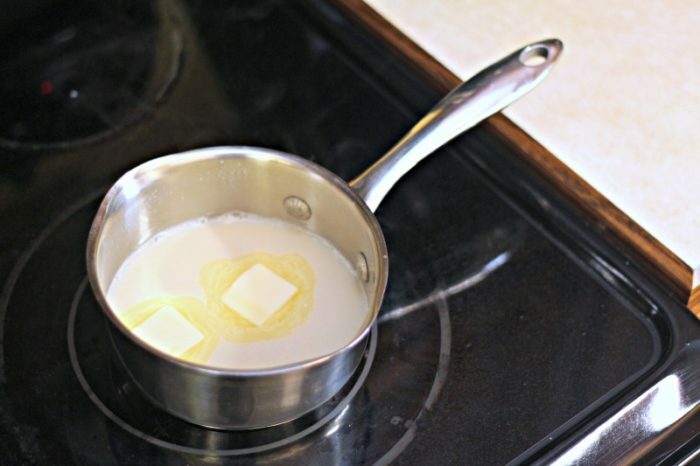 Use a small saucepan, add your ingredients (except coffee), heat them up, blend them well, and poor them into your mug. Add hot, fresh coffee, and enjoy. Avoid boiling to avoid curdling. No one wants curdled latte. 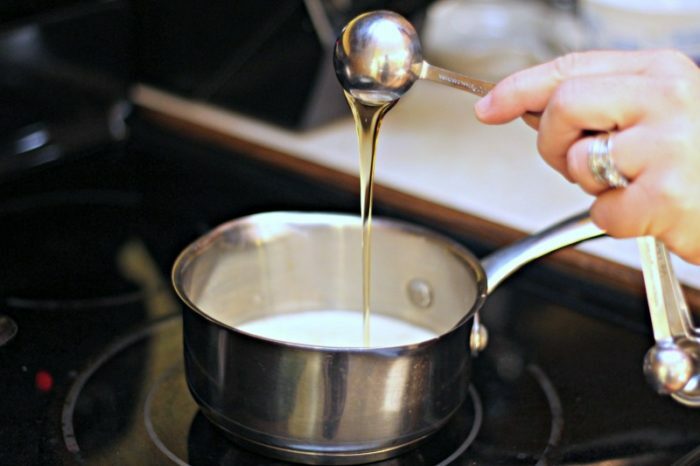 Try a deeper saucepan for the stove top/hand mixer method to avoid splattering your arms with hot liquid. I would love to know your favorite, homemade coffee drinks. Leave us a comment and share your good tastes! Looks perfect for winter nights by a fire with a book! 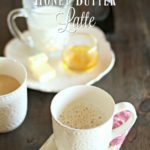 I would have never thought of adding butter and honey to coffee but it sounds delightful. Thank you for sharing. Thank you Susan! It sure is. Butter does make just about everything better. Looks and sounds great! Does this make enough for one cup or two?